Billington also doubled the library's traditional analog collections as America's head librarian for 28 years. 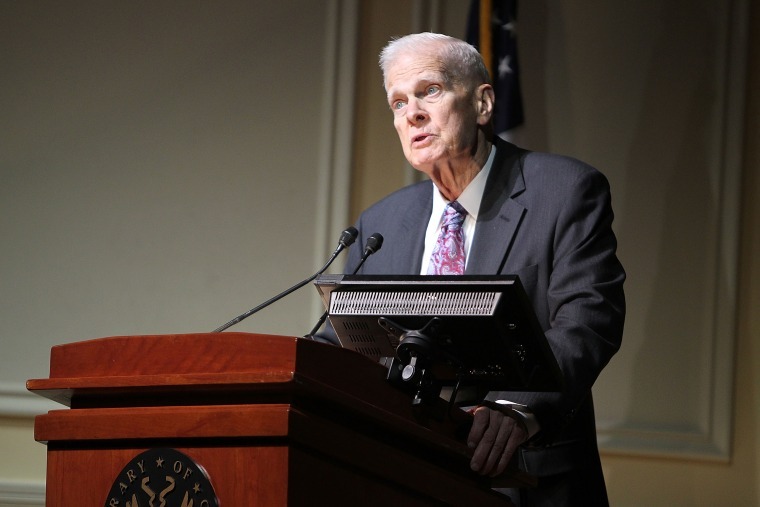 WASHINGTON — James H. Billington, who led the Library of Congress, the world's largest library, for nearly three decades and brought it into the digital age, has died. He was 89. The library announced Billington's death in a statement, which didn't say when he had died or provide a cause of death. Billington retired in 2015. Carla Hayden, the current librarian of Congress, praised Billington's "vigor for philanthropy and tireless efforts to expand the reach and impact of the library." Billington, who was America's chief librarian for 28 years, doubled the library's traditional analog collections, from 85.5 million items in 1987 to more than 160 million items. He also was credited with creating a massive new Library of Congress online, making research and legislative databases more easily accessible. Billington acquired the only copy of the 1507 Waldseemüller world map ("America's birth certificate") in 2003 for permanent display. He reconstructed Thomas Jefferson's original library and placed it on permanent display in 2008. He obtained a complete copy of the Marquis de Lafayette's previously inaccessible papers. He assembled hundreds of other collections from notable Americans like Thurgood Marshall, Irving Berlin and Jackie Robinson. The library, which was formed largely from Thomas Jefferson's collection of books, is the nation's oldest federal cultural institution. It holds a vast collection of research materials, historical resources and cultural treasures.